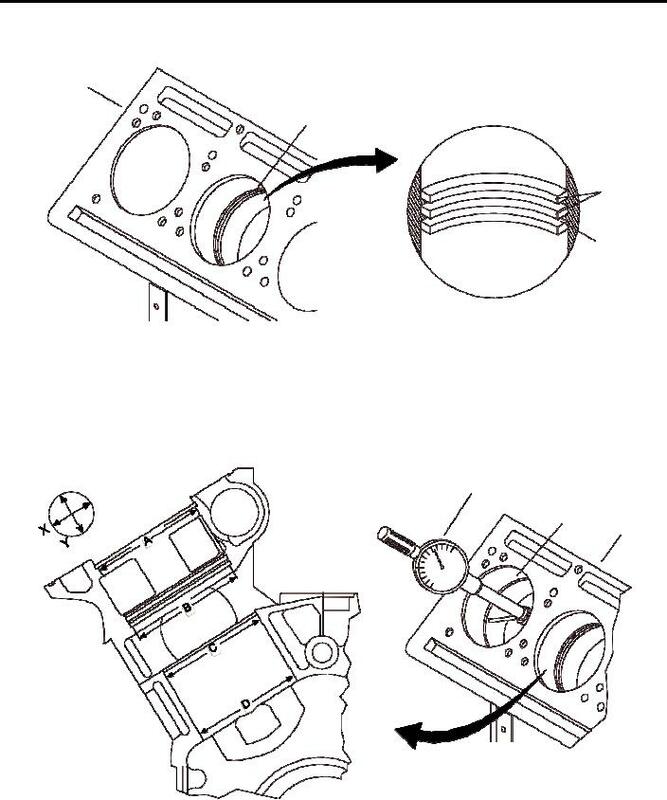 Inspect cylinder bore (51), grooves (52) and lands (53) for pitting and corrosion. None Allowed. Measure cylinder bore (51) diameter on X and Y axis using a cylinder bore gauge. Position A diameter shall not exceed 5.3625 in. (136.2075 mm). b.
exceed 5.3390 in. (135.6106 mm).